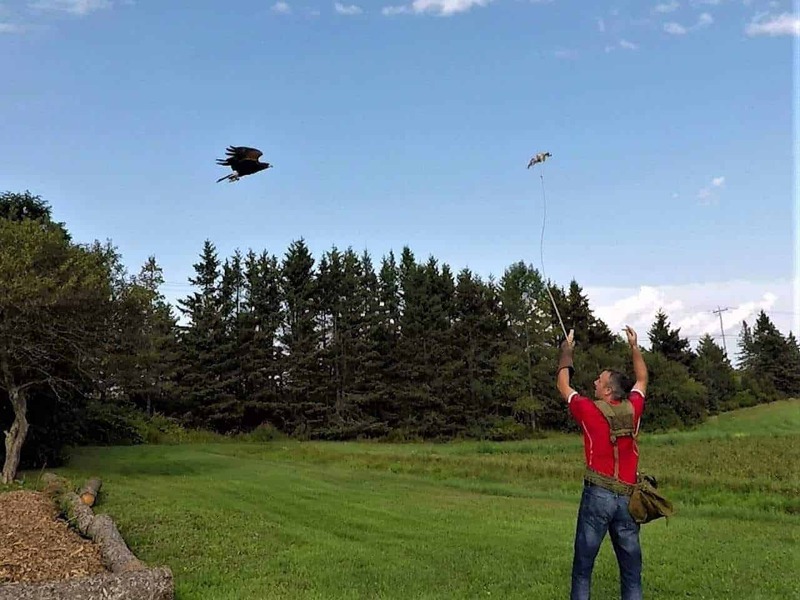 When you think of a Prince Edward Island attraction, I bet you never thought of Falconry. 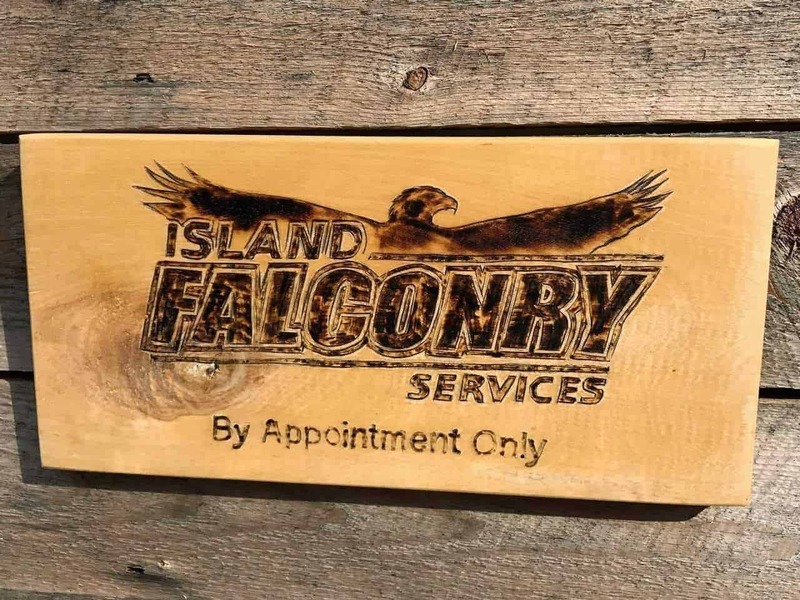 But Falconry is alive and well at Island Falconry Services. Working with the birds was by far one of the best things we did during our time in PEI. Learning about these magnificent creatures as well as handling them is quite an experience. 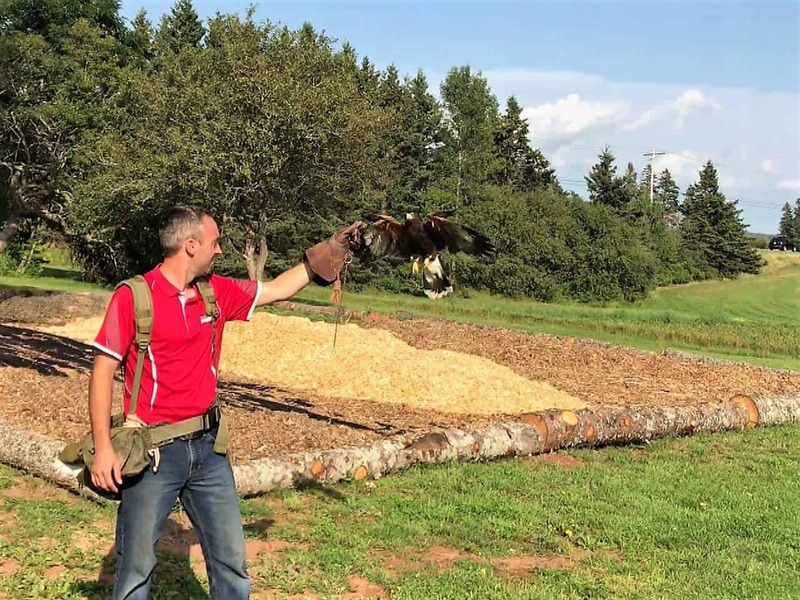 Fun with Falcons is one of many experiences offered by Experience PEI, a family-run tour company that specializes in experiential activities on Prince Edward Island. 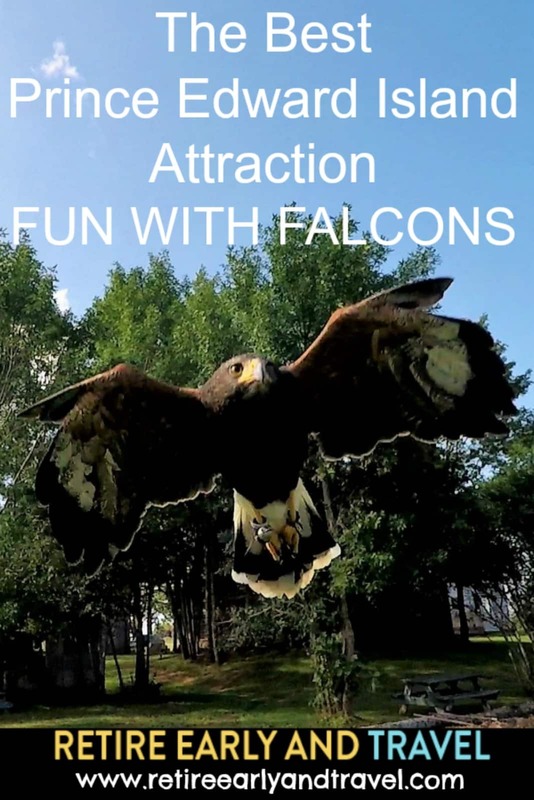 You need to book Fun with Falcons in advance. You can do it all on the web, so it’s easy. Our experience began with an explanation of falconry, the history, and the birds. The art of Falconry is ancient with evidence that it started in the year 2000 BC. What we learned was fascinating. Birds of prey are not like pet birds such as parrots. They aren’t companion or group birds. These are birds that live a solitary life. So they are not like a pet and have to be worked with very differently. 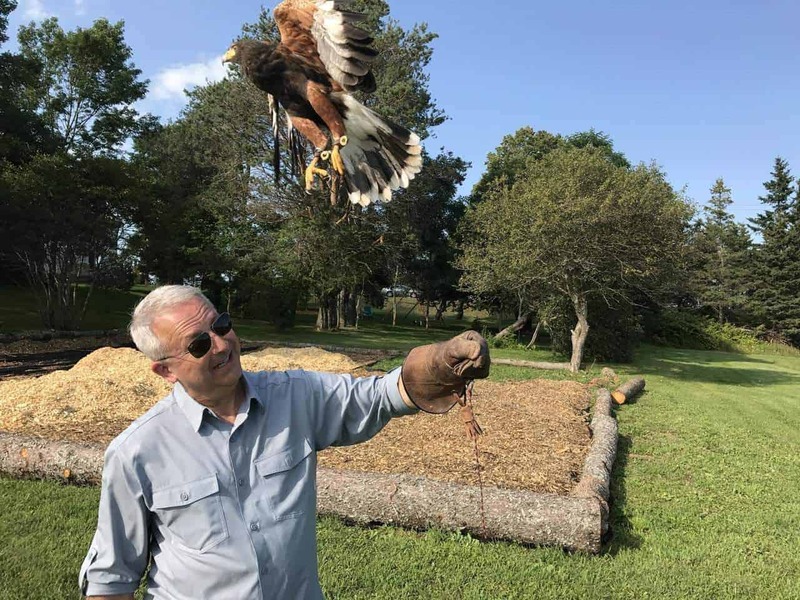 Jamie, the owner, was very knowledgeable and you could tell that he really cared for his birds at this Prince Edward Island attraction. We started off with an introduction to the Falcon. 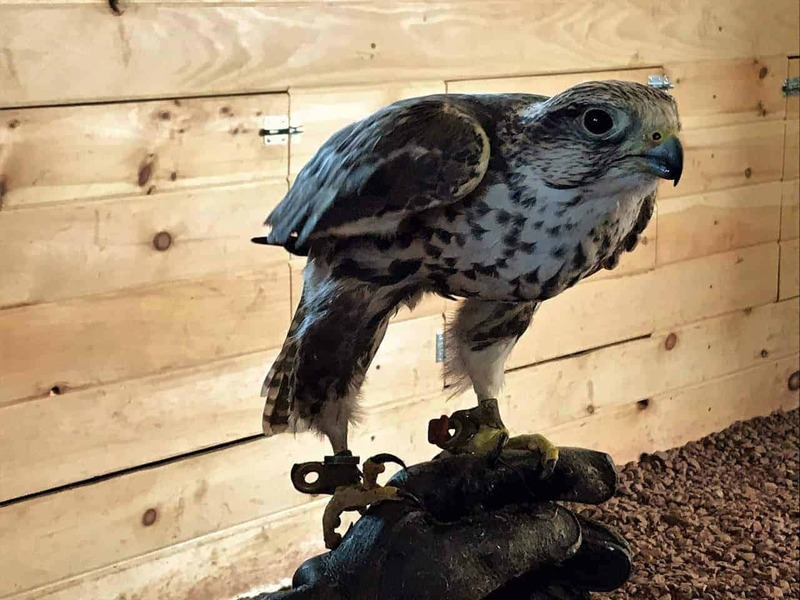 The Falcon we worked with was a Saker Falcon. Jamie took us in the Falcon’s aviary. Once we were inside, Jamie placed a hood on the Falcon so that it would stay calm given there were so many people around. Jamie took the bird into a larger area where after instruction, we got to hold the bird on our gloved hand. Even though the birds look big, they are surprisingly light coming in at a little over 1 ½ lbs. 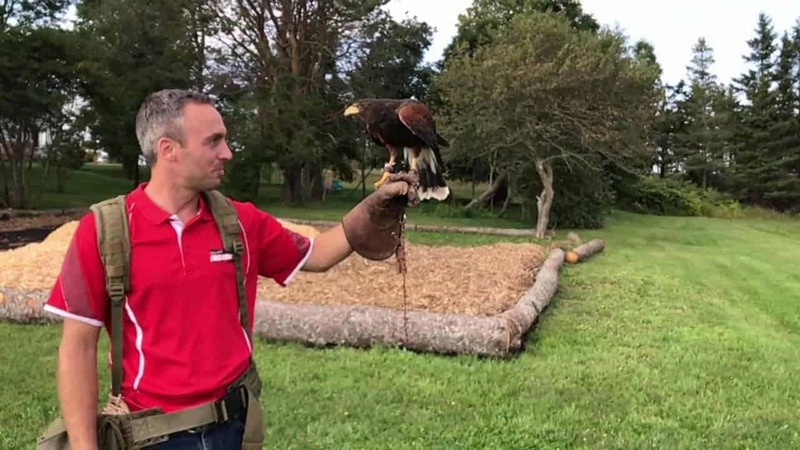 Island Falconry Services works the birds just about every day providing them with plenty of exercise and stimulation. Besides education, providing a natural way to solve bird pest issues is also offered. 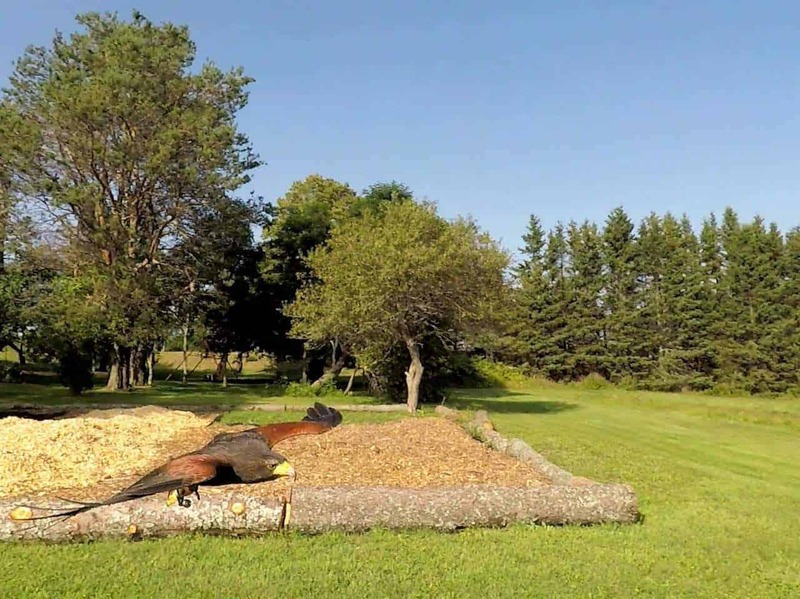 Whether you’re a farmer or an airport, if you have problems with birds such as geese, pigeons, or crows, just establishing a predator presence in the area is enough to keep the bird pests away. That’s what Jamie offers with his birds. After we took some pictures with the Falcon, we put him back in his aviary and Jamie brought out a Harris Hawk. The Hawk was smaller than the Falcon weighing about 1 ¼ lbs. The Hawk was the bird we were going to work with, out in the field. 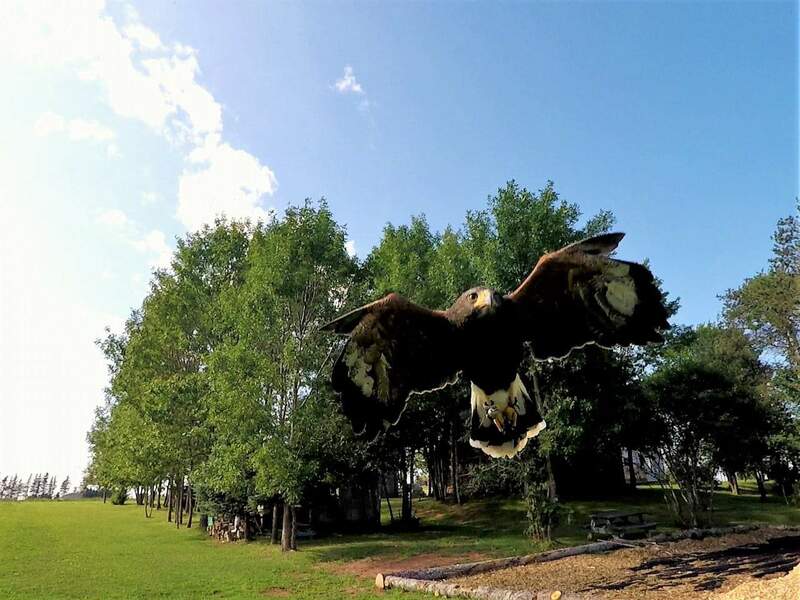 Island Falconry has five birds consisting of Falcons, Hawks and a hybrid. When Jamie took the Hawk out of its aviary, it flew up into a tree. We all walked out into an open field, and the Hawk soared through the air following us. What would entice the Hawk to come and land on the glove was that we were holding a piece of quail meat. Hawks mainly eat other birds. The Hawk was always watching us. 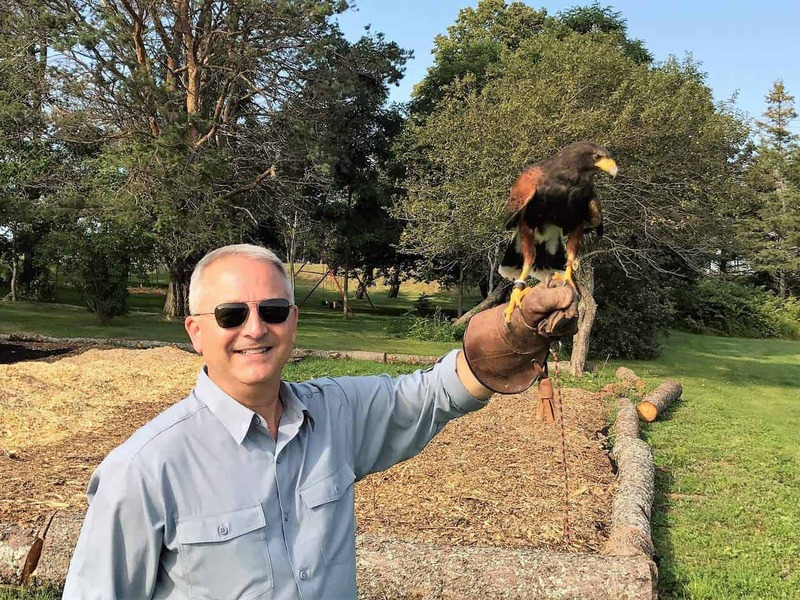 As soon as we extended our arm with a piece of meat in hand, the Hawk would fly down, and land on the glove and eat the meat. Then he would fly back up into a nearby tree. From there, with his keen eyesight, he would watch us to see if we had any more to feed him. We all had a chance to put on the glove and have the Hawk come down to feast. It was such an amazing experience. It was fascinating how attentive the Hawk was with his excellent eyesight. The next thing that Jamie demonstrated was how the Hawk could catch a piece of meat thrown into the air simulating catching a bird. He would grab it with his feet, then land on the ground and eat it. He never missed. 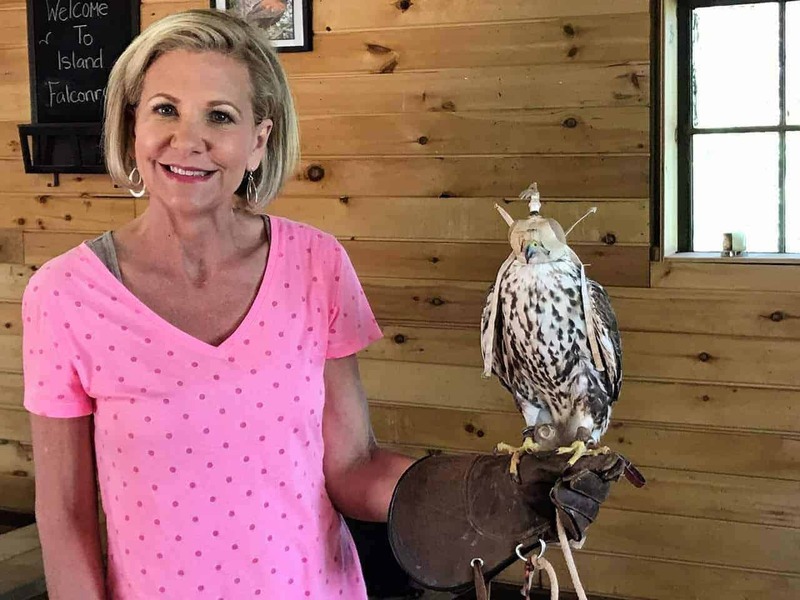 To simulate an actual hunt, Jamie would swing around a feathered lure on a rope, and the Hawk swooped down and grabbed it out of the air and then landed. Another example of a keen eye and swift movements of a Hawk. Overall, we had a great day learning about these magnificent birds and getting to participate in their handling. 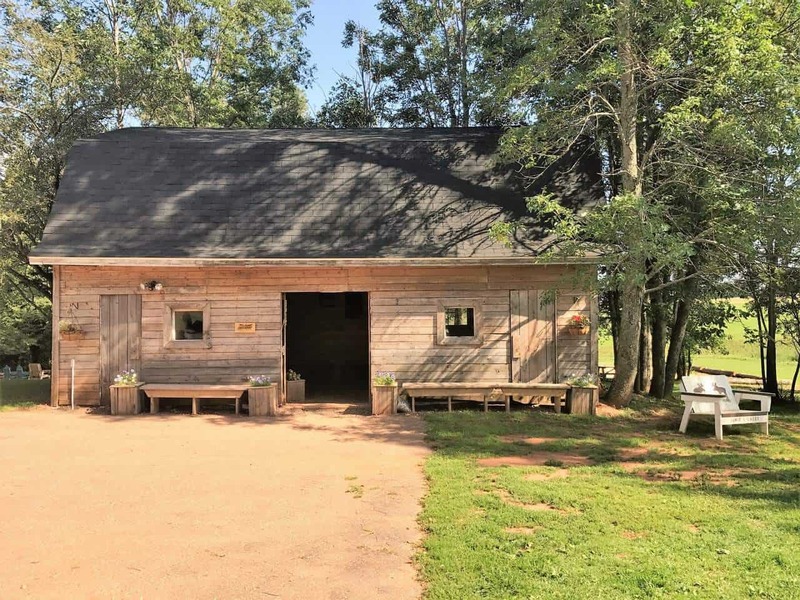 PEI Experiences are about making Prince Edward Island memories. I can tell you that this experience is one I will never forget. 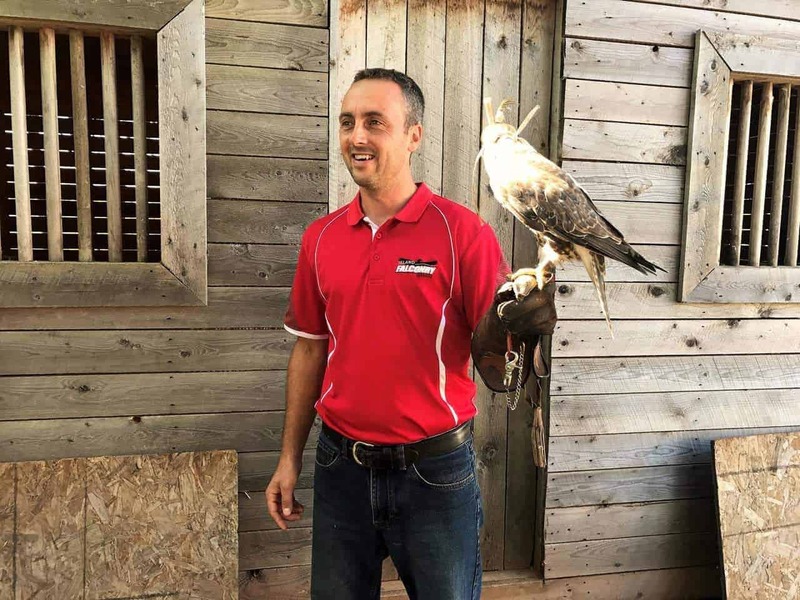 Fun with Falcons is a Prince Edward Island attraction you don’t want to miss. Or you may be interested in renting a lighthouse on a private island. I am not really a bird person, but that looks like fun!